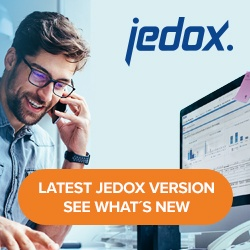 Names in Jedox are not case sensitive. Space characters are not allowed. Names cannot begin or end with a space character. Names cannot contain any characters with a character code < 32, e.g. Return, Tab, etc. A sequence of two or more space characters is not allowed. Names cannot begin with a period (.) character. The name of a user info dimension has to be longer than 2 characters and has to start with two hashtags (##). Element names cannot begin with “< “. In string-type cube cells, an entry cannot start with “< “. Entries consisting only of the words “true” or “false” are not allowed. In the Jedox In-Memory database, the databases, cubes, dimensions, elements, and attributes are named in compliance with the ICU comparison Level 2. This means that, for example, in one single dimension, you cannot have two elements named m2 and m2. The “first one wins” principle is applied, and the higher levels are ignored.